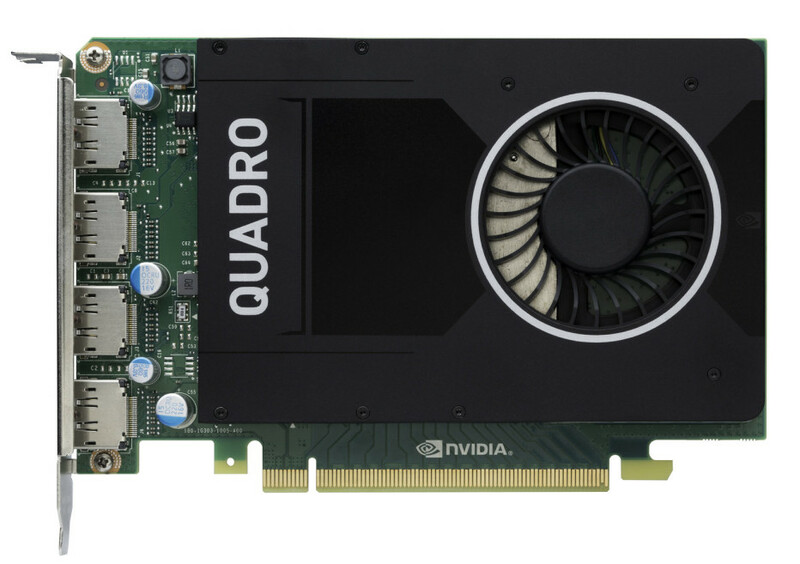 NVIDIA has announced a new professional-class video card called Quadro 2000M. The new card comes weeks after the US company announced the Quadro M5500 graphics card but by judging from the name here we have a newcomer that sits below the M5500. So the new Quadro M2000 professional graphics card comes with 768 CUDA cores in the GM206 GPU that it uses. The card has 4 GB of video memory that runs at 6610 MHz, a 128-bit memory bus and a GPU that runs at 1180 MHz. This is the reason why the card reaches 1.8 TFLOPS of single-precision power. In a way the Quadro M2000 is a modified GeForce GTX 950 graphics card if you have not guessed this yet. The Quadro M2000 comes with one nice surprise, unlike most GTX 950 video cards, though. The newcomer does not have an extra power connector, and in addition to this it comes with a small cooler, which makes the Quadro M2000 occupy a single slot inside your PC case. In the back the card has four DisplayPort 1.2 connectors, which allow end users to connect up to four monitors that work at 60 Hz or two 5K monitors that operate at the same frequency. The Quadro M2000 sells now for around EUR 570.